"In this witty, wise picture book, Boelts presents a kid's-eye view of aconsumer fad that rages through school at gale force." 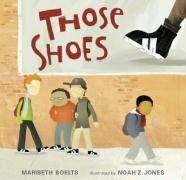 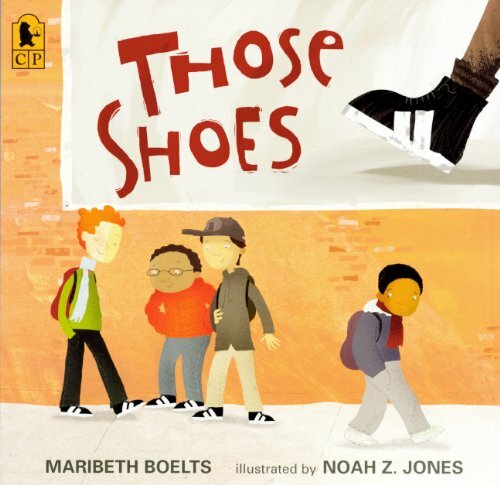 -- Bulletin of the Center for Children's Books (starred review) All Jeremy wants is a pair of those shoes, the ones everyone at school seems to be wearing. Though Jeremy's grandma says they don't have room for "want," just "need," when his old shoes fall apart at school, he is more determined than ever to have those shoes, even a thrift-shop pair that are much too small. But sore feet aren't much fun, and Jeremy soon sees that the things he has -- warm boots, a loving grandma, and the chance to help a friend -- are worth more than the things he wants.